Pankaj Sah is renowned for his work in understanding the neural circuitry of the amygdala, an area of the brain that plays a central role in learning and memory formation. Dysfunction of the amygdala leads to a host of anxiety-related disorders. Professor Sah’s laboratory uses a combination of molecular tools, electrophysiology, anatomical reconstruction, calcium imaging and behavioural studies. Recently, his laboratory has been working with patients undergoing electrode implantation for deep brain stimulation, which is used to treat a variety of disorders such as Parkinson's disease, Tourette's syndrome and essential tremor. His group studies the electrophysiological signatures of different brain regions and their impact on disease. Tracey Tokuhama-Espinosa is currently an educational researcher affiliated with the Latin American Social Science Research Faculty in Quito and teaches at the Harvard University Extension School Tracey’s main areas of research are improved indicators to measure educational quality; the expansion of the Mind, Brain, and Education field; learning in the digital age and paradigm shifts using appropriate technologies; bilingualism and multilingualism; and the general improvement of teacher education practices. Michael Fanselow is currently a Distinguished Professor in both the Psychology and Psychiatry Departments at UCLA. He currently holds the Staglin Family Chair in Psychology and is Director of the Staglin Center for Brain and Behavioral Health. He continues to focus on fear, asking questions ranging from its evolutionary function, to the organization of behavior, to its neural basis. 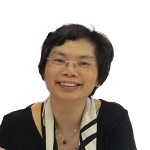 Nancy Law is a professor in the Division of Information Technology in Education, Faculty of Education at the University of Hong Kong. Her research interests include international comparative studies of technology-enabled learning innovations, models of ICT integration in schools and change leadership, computer supported collaborative learning, the use of expressive and exploratory computer-based learning environments, learning design and learning analytics. Gregory Quirk's laboratory aims to increase understanding of how the brain overcomes fear, train effective scientific thinkers and increase neuroscience practice in historically underrepresented countries. Nienke van Atteveldt currently works as associate professor at the Vrije Universiteit (VU Amsterdam) leading a research group to investigate underlying mechanisms of motivation and resilience in high school students (supported by an ERC Starting Grant). Specifically, her lab investigates the developmental interplay between students’ academic self‐concept, their functional brain networks for error and feedback processing, and their learning trajectories and well‐being in school.